In a city full of outstanding buildings, this one, small but expressive, stands out as far as most. My photograph shows the upper floors of a shop in Long Row (it was a travel agent’s when I was there a while back), and, in a context of flat fronts and plain colours, it combines contrasting materials, contrasting shapes, and planes going this way and that. The first things I noticed were the turrets protruding out and sticking up on either side. But there’s so much more – the stylish roof, the elaborate first floor bay window, the bands of stone among the brick. So where is this building of around 1900, latterly a travel agency, taking us? Mostly, I think, to the French Renaissance. The steeply pitched hipped roof with its central dormer (framed by classical pilasters) is certainly a French feature, so are the turrets with their conical tops, and so are some of the details on the big window – those chevrons that combine to make diamond patterns, the ornate details above the second-floor windows, and so on. There was a fashion for this sort of thing at the turn of the century, part of the increasing variety of styles on which late-Victorian and Edwardian architects felt able to draw upon, from Byzantine revival to Art Nouveau. But this is a particularly English version of the French style, and very much of its time. The brickwork is very English (and looks very well done too), those square panes of glass are of their time, and the central part of the bay window, with its integral arch, is out of the school of Norman Shaw (a shame about the replacement window frames, but at least they follow the pattern of square panes). Nottingham is a city of wonderful brickwork (those fine industrial buildings, some even with curving walls) and of restless architectural innovation (the work of Watson Fothergill especially). This small building can share city space with them and not fail to shine too. The Worcestershire town of Upton-on-Severn has quite a few old shop fronts, and a point has been made recently of preserving a number of these – and even revealing the signs of old businesses, long gone but still essential and picturesque bits of the place’s history. So although this former brach of the Worcester New Co-operative Society is a Co-op no more, its sign still shines above its frontage. These gilded letters on a black background are typical of the kind of thing shopkeepers were using in the late-19th and early-20th century to advertise their businesses, and the way the lettering has been managed to get everything into the available space is typical in its ingenuity too. The letterform is quite narrow (that was probably the standard style for this company) but extra economy of space has been achieved with the diagonal words, which are visually effective and give the sign a feeling of dynamism and verve. Even the abbreviation of Society to ‘Socy’, with its superscript Y and little dot, has been handled with some flair. Beneath the sign the rest of the frontage is quite plain, with big windows and central lobby. Even this has been designed and made with care – look at the fluted pilaster on the left, and the little turned capitals atop the slender shafts. The main job of the shop front, though, is to show off the goods – whether the hams and cheeses of yore or the lampshades and vases of today – and to draw us in through that set-back central doorway. And whether we enter or pass by, both the goods and that glittering sign are bound to make an impression on the retina. There’s another post on a shop sign in this town here. The other night I gave a talk in the Cotswold village of Brimpsfield and, arriving early as I often do, had time for a short walk around before I was due to set up my projector and get on my hind legs to speak. Beautiful as is the stone architecture of the place, I was particularly struck by the series of arches through which the path to the church runs. 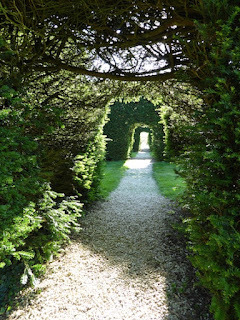 These arches are not made of stone or any other masonry, but out of yew trees, pairs of them artfully clipped into large rectangles with openings in the middle to accommodate the path. I’m a great admirer of churchyard yew trees, have posted about one particularly ancient specimen before, and can think of few better ways to approach a church than through these arches. They provide not only wonderful greenery, but also green shade (it was a very hot day) and, as you look back westwards towards the setting sun, a backlit rim of pale green around the edge of each opening. 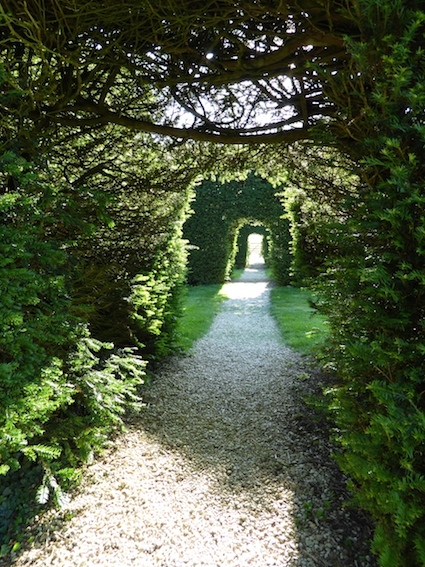 In truth, the yews looked as if they needed clipping, but the slightly fuzzy edges only added to their charm. * On a quiet summer’s evening they seemed just right. *The jasmine round my own front door needs trimming, so I have such tasks on my conscience. My affection for thatched buildings, for English pubs, and for those three-dimensional pub signs that sometimes mark hostelries such as the White Hart at Hingham or the White Lion at Upton-on-Severn comes together here. The Althorp Coaching Inn is an attractive stone building with a thatched roof where I had an enjoyable lunch recently. 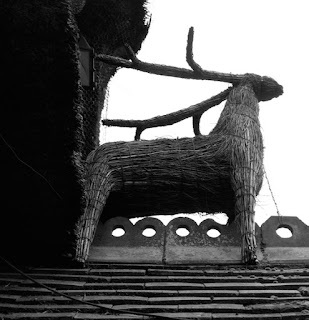 Walking back along the village street a bit later I noticed this charming thatched stag over the porch. He’s a cousin, clearly, of the animals that thatchers mount on roof ridges. People treat these as personal signatures, bits of local distinctiveness, marks of ownership, or just admirable whimsy. 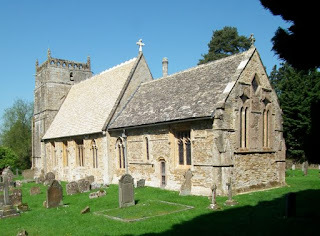 * But here at Great Brington, the stag is not on top of the thatched part of the roof at all, but surmounts the tiled section above the entrance. He’s not a name sign either – the pub is known as the Althorp Coaching Inn, and also bears the name Fox and Hounds, written in smaller letters like a subtitle on the main pub sign. Not apparently relevant then, but admirable anyway, and a memorable bit of British folk art. *See my earlier post, Brush with the lore, which cites Dorothy Hartley’s excellent old book, Made in England (1939); Hartley’s researches threw up these varied explanations. Walking northwards along Waterloo Road, I paused by the corner of Stamford Street, not for the first time, to admire this bit of architectural joy before coming to the bridge. It’s the former Royal Hospital for Children and Women, a brick building of 1903–4 and of all its felicitous architectural details – big windows, ornate gables, little pepper pot finials, tall chimneys – it was a bit of the building’s rich ceramic ornament that I thought I’d share today. The decoration was made by Doulton and includes a green Doultonware entrance porch given by the Doulton family themselves, and numerous terracotta female heads in the arches over the upper floor windows. I don’t know which of Doulton’s artists designed this panel.† But it didn’t have to come far from its place of origin, the Doulton Lambeth works a short distance upstream. It’s a memorable work of London art on a memorable London building. *The lettering is very effective too. I particularity like the E, with its central curving stroke. †The panel is illustrated in Paul Atterbury and Louise Irvine, The Doulton Story (Royal Doulton Tableware, 1979) but the authors do not attribute it to any particular Doulton artist. The children's wards of the hospital originally had beautiful tile panels illustrating fairy tales. The building is no longer a hospital and the tile panels are now at St Thomas's. I am revisiting the terracotta roundels of poets featured in my previous post, because a reader has raised an interesting question, one that had also occurred to me. He asks whether these three roundels, showing busts of Milton, Shakespeare, and Tennyson, were mass produced, and whether if that was the case, they appear on any other buildings. I don't know the answers to these questions. Architectural terracotta decorations certainly were made in quantity – as were the flower motifs that flank the roundels on this very building. However terracotta panels were also made as one-offs and I wonder which was the case here. So I'm illustrating the roundels of Milton (above) and Shakespeare, to go with the Tennyson shown in my earlier post, in the hope that they may jog some reader's memory. Has anyone seen these somewhere other than St Stephen's Street in Bristol? If so, I'd be fascinated to hear from you. The comments section is easy to use via the link below. I previously noticed that the bust of Shakespeare had almost the look of a Romantic poet of the 19th century. He's certainly rather downcast, and the locks are wilder and more flowing than the poet's hair in the familiar Droeshout portrait in the First Folio, in which he is also slightly fuller of face and looks us straight in the eye. Perhaps this Bristolian bard is more the Shakespeare of Henry Irving than of Heminges and Condell, the actors who put together the First Folio and created the poet's most familiar image. St Stephen’s Street is one of Bristol’s narrow central thoroughfares, a street that’s easy to overlook and if one does come across it, one’s attention is likely to be taken by its main architectural attraction, the eponymous church, which has a glorious tower, a sibling of the late-medieval towers that make Somerset so architecturally rewarding. Across the road, though, are other delights, mostly unregarded and, I’d guess, rarely photographed, because the street (a bit more than an alley, to be fair, but far from wide) makes these quite tall buildings hard to get in the frame. One example is this building of 1878. It was originally a warehouse, apparently, through I don’t know what was stored in this four-storey structure faced in multi-coloured glazed bricks. My top photograph, showing just the central section of the facade, gives you the idea – mostly yellow, with an orangey-brown plinth, some bands of blue, a little Pennant sandstone here and there, and terracotta ornaments. The ornaments are three terracotta busts of English poets: Milton, Tennyson, and Shakespeare. The Shakespeare looks like a Romantic poet, with more flowing locks and a bonier face than the familiar portrait by Martin Droeshout that appears in the First Folio. The Milton is not too far from portraits of the poet in early printed editions of his works and the Tennyson is faithful to the writer’s profuse beard and sometimes upward-curling moustache. The Tennyson bust has him wearing a hat – several contemporary photographs and portraits show the poet hatted. At one time in his life Tennyson favoured a cloak and a very broad-brimmed sombrero, a get-up well beyond the ken of most Victorians. A young woman who went for a walk with him was embarrassed when everyone stared at them, transfixed by this outré garb; she was even more embarrassed when he turned to her and said she ought to wear a less conspicuous dress next time she went out because ‘People are looking at us’. I suppose the choice of poets is unsurprising for the period. Shakespeare is always with us; for the Victorians, Milton’s works too were much-read classics, even if their author did not have the huge influence he’d had for the previous generation of Romantic writers. As for Tennyson, he was very popular in his lifetime. His long poem In Memoriam, an elegy for his friend Arthur Henry Hallam that grapples with matters of faith and doubt (burning issues for the Victorians), was a bestseller and a favourite of the queen; some of his other poems, such as Enoch Arden, Maud, and The Idylls of the King, also sold in numbers far beyond the sales figures of poetry today. We got a lot of good things from the Victorians (hospitals, Education Acts, Charles Dickens, drains…). I’d suggest that their love of poetry is another influence that we could emulate. Most British people, even if not chapel goers or architecture buffs, are aware of the thousands of nonconformist chapels that dot the towns and villages of England and Wales. And even if we’ve not thought much about it, most of us could draw a typical chapel from memory: central door, a pair of quite tall windows,* shorter window above the door, and a plaque with a name or date somewhere in the centre too. 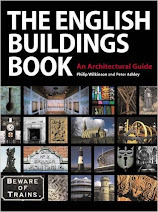 Once everywhere, these familiar buildings are not quite so common now, but there are still many, and the variations on this simple design seem endless – Gothic or Classical or Romanesque style; brick or stone or stuccoed walls; variations in window height and proportion. Most of them were put up by local builders without the help of an architect and it’s very difficult (for a non-expert at least) to classify them or to find any sort of pattern that might ascribe one style to the Methodists, another to the Baptists, and so on. The builders of the Bridgnorth Baptist Church set to work in c 1742, the town’s tiny Baptist congregation of the early-19th century having clearly expanded quite a bit.¶ Their chapel is therefore earlier than the big Baptist expansion that occurred later in the century, with the popular preaching of men like Spurgeon and the resulting large Baptist churches (‘large classic convenictles’, as John Betjeman described them§). At Bridgnorth they used the simplest of classical means to produce a quiet, well proportioned facade: very plain pilasters in the centre and at the corners; moulded surrounds to the windows and doors with just a little elaboration; quite a large parapet in which draws the eye to the central name plaque, which is done in the clearest sans serif capitals. A lick of paint, together with the sunlight, throwing all those details in relief, does the rest. *Or two pairs of windows, arranged one above the other on either side of the door. 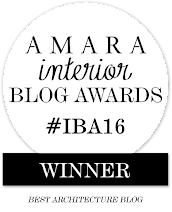 ¶The Baptist Magazine (in a piece by one J. B., dated 7 January 1821) says that in 1816 the church numbered just three members, one of whom died the following year; by the time of the article, the number was up to eight. The writer prayed, ‘May the set time to favour this part of Zion soon come!’ It looks as if this prayer was answered. 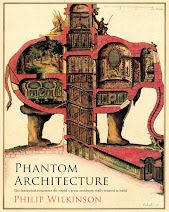 § See John Betjeman, ‘Nonconformist Architecture’ in First and Last Loves, 1952. Betjeman does attempt to ascribe styles to specific denominations, and to generalize about the differences in architectural approach between different groups of, say, Methodists (Weslyan Methodists favouring a solid, faintly Gothic style, Primitive Methodists going for much plainer buildings in general, with the occasional ‘flimsy Italianate’ city chapel). But generalizatons about this are difficult. 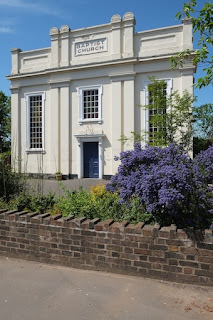 I am eagerly awaiting Historic England’s forthcoming book on nonconformist chapels, scheduled for publication towards the end of this year.